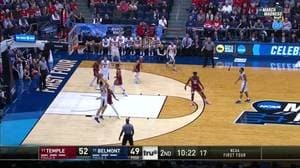 Nick Muszynski (Belmont Bruins) makes the 2-pointer in the 2nd Half against the Temple Owls. Next Article With Gonzaga looming after first NCAA tournament win, Fairleigh Dickinson knows the odds. It just doesn't care.